The ideal solution for workpieces up to 1500 x 800mm. 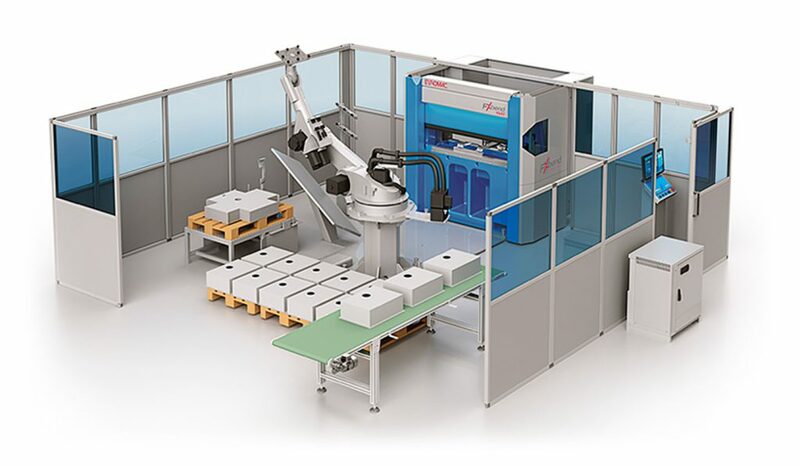 Large-capacity robot, with 2 different unloading configurations that can be modulated based on the customer productivity. Cell for small and medium sized pieces with a high production capacity.